By signing Paul Pierce, the Los Angeles Clippers are moving into a different phase of their plan to win an NBA championship: Copy the 2008 Boston Celtics and hope it works. Well, not exactly. To make it an exact copy, they’re going to need more than just Doc Rivers on the sidelines and Paul Pierce on the court; an older, lesser version of him. Even re-signing Glen Davis isn’t going to be enough, although that’s probably not going to happen. Actually, adding Kendrick Perkins and Ray Allen wouldn’t be that difficult. Both are free agents, and Allen still hasn’t retired. He and Rivers might not get along too well, and the same can be said of Allen and Pierce, but it might work for the sake of a championship, wouldn’t it? All they’d need to do then is sign free agent Rajon Rondo (and damn the salary cap to hell) and trade for whatever’s left of Kevin Garnett and they have themselves the 2008 Celtics championship team in zombie form. 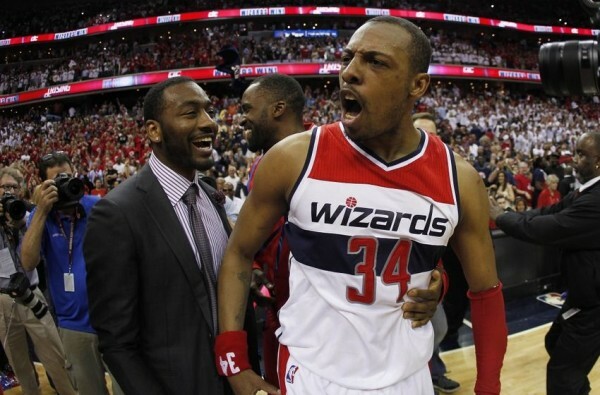 Seriously though, Pierce joining the Clippers is great news for them, but it’s too soon to celebrate. Rivers still needs help with his bench, although Lance Stephenson might come in handy there. Pierce’s minutes will probably drop a little bit more (26.2 a night last season) and the Clipper still need to re-sign DeAndre Jordan who gets closer and closer to the Dallas Mavericks as we speak. It could be funny. Pierce joining Rivers again to help lead the Clippers to a championship, but then everything else goes wrong for the Clippers in the offseason, leaving them once again with a good and maybe very good but not good enough team to win the NBA title, while Pierce bet on the wrong horse in what might be finally his final season in the NBA, although the deal he signed (three years, $10.6 million) means he isn’t going anywhere in the near future.